Colombia’s state-run oil company Ecopetrol could face criminal charges after possible neglect caused a major oil spill in central Colombia. According to Environment Minister Luis Gilberto Murillo, Ecopetrol will see “drastic sanctions” if the company “hid information that could’ve led to the prevention” of what some environmentalists call the biggest environmental disaster in the company’s history. Almost four weeks after a pipe burst in the central Santander province, the company is expected to begin closing the leak on Thursday. 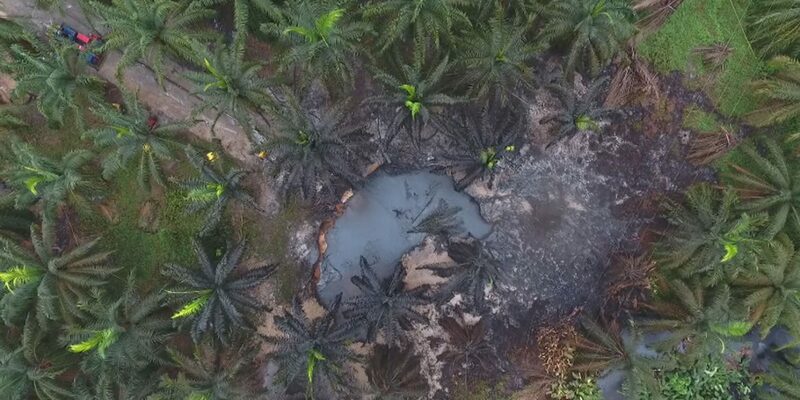 Despite evidence indicating the contrary, Ecopetrol has claimed that the leak has been under control since March 3, a day after the disaster began. The leak killed more than 2,500 animals and has polluted more than 20 miles of river. Locals have warned that the crude oil could still reach the Magdalena, Colombia’s largest river. Colombia’s environment authority announced today it will sanction the oil company responsible for the country’s worst environmental disaster in its history. Authorities also said the company obstructed the recovery procedures of the oil leak. Television network Caracol on Monday said the company knew about serious mechanical failures at the Lizama 158 oil field since 2016, but failed to execute the necessary repairs to equipment. Environmentalists have demanded the resignation of Ecopetrol CEO Felipe Bayon, the environment minister and the director of environmental licensing agency ANLA for the slow response to mitigate the disaster. According to a 2016 audit by the Comptroller General, the Lizama 158 oil field was one of 31 abandoned oil fields that posed an environmental risk due to overdue maintenance. Ecopetrol’s CEO has denied negligence and withholding information. “This has always been available” to environmental authorities, according to Bayon. The company did accept responsibility for the slow response that devastated the area.